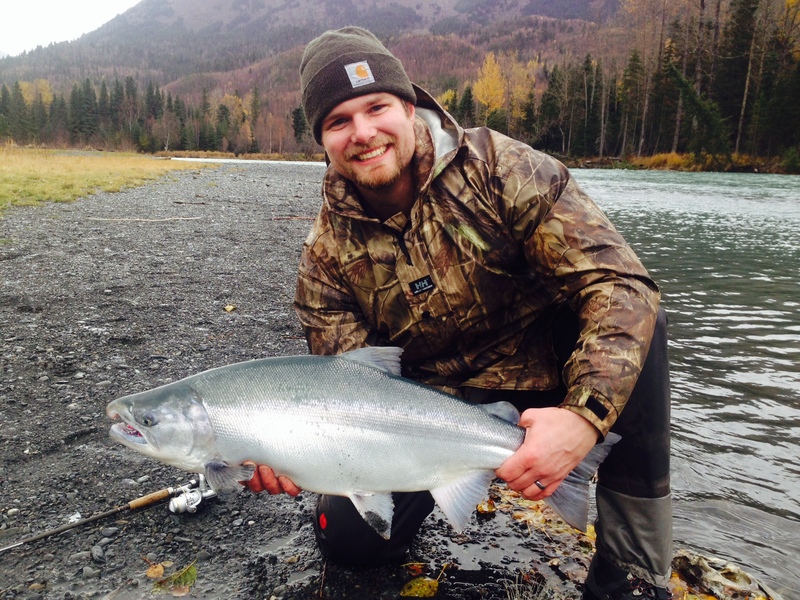 The Kenai River has a long history of fishing tradition, and long before crowds of people descended upon the lower river to chase salmon, there was a salmon and trout fishery on the Upper Kenai River around Cooper Landing. When you mention the Upper Kenai River nowadays, folks undoubtedly begin imagining the incredible Trout fishery, the abundant Sockeye runs, and a few may even remember that it also has a fantastic Silver Salmon fishery. 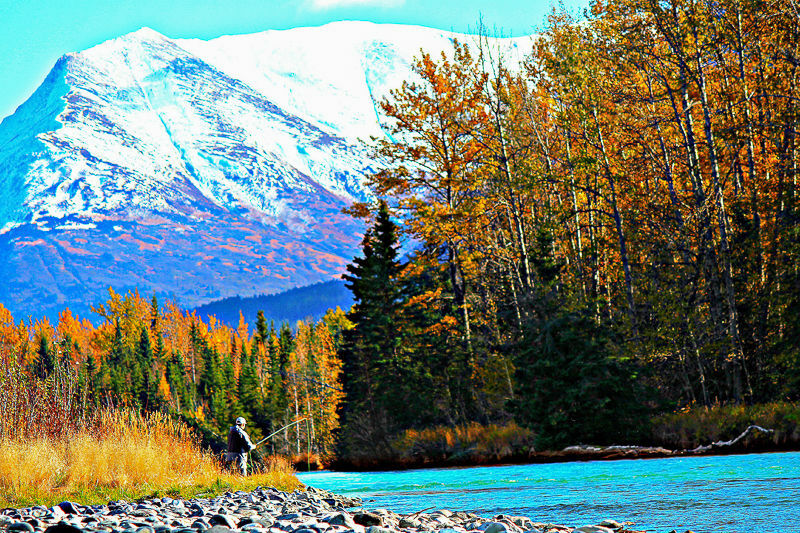 Perhaps the biggest allure when it comes to fishing the Upper Kenai River is the setting. Giant snow-capped mountains surround you in every direction, the aqua-green waters are both unique and beautiful, and it’s not uncommon to spot moose, bear, eagle, and lots of other wildlife. 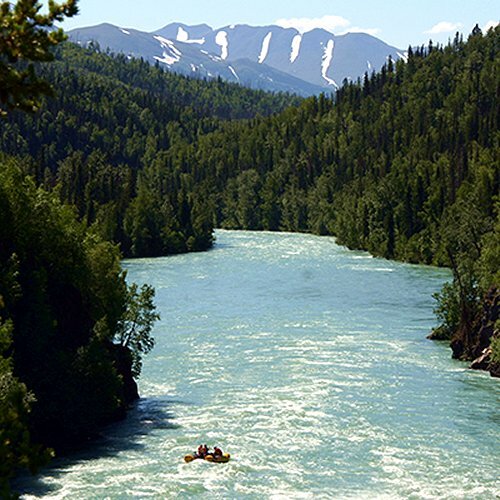 This is the only drift-boat-only stretch of the Kenai River by regulation, so you’ll never have to worry about having power boats making noise, wake, or taking away from the wilderness atmosphere…. It’ll be just you and the sounds of nature. 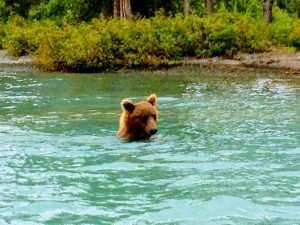 The Upper Kenai consists of 3 distinct sections: Kenai Lake bridge to Sportsman’s Landing near the Russian River confluence, Sportsman’s Landing to Jim’s Landing, and Jim’s Landing to the Skilak Lake outlet. 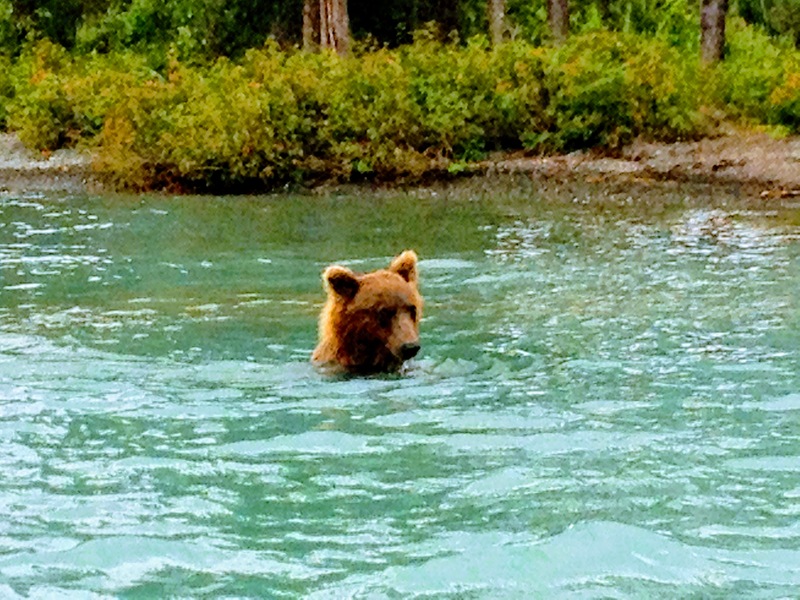 Each section has its own unique features starting with the slow waters near the Kenai lake outlet that eventually gives way to back-channels, gravel bars, holding pools, and finally the awesome Kenai canyon that dumps into Skilak Lake. Trout season opens up on the Kenai June 11th each year, and the first few days of the season can be very good! Through late June and July the trout fishing is fair to good, but it REALLY goes off in August and September when the salmon are spawning. 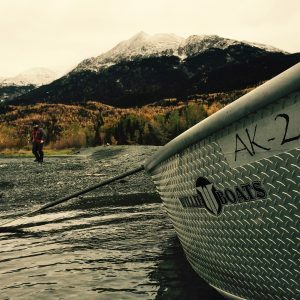 The Upper Kenai has 2 very strong Sockeye runs, the first run starting in early/mid June, and the second run heats up during mid/late July. 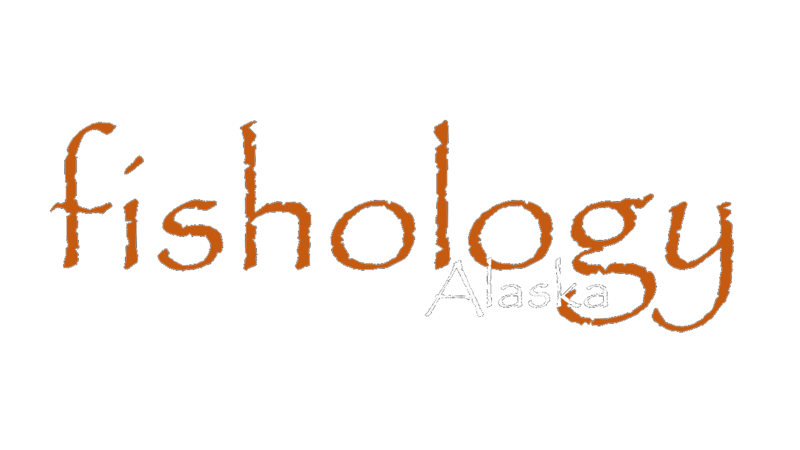 The sockeye are of course a great bonus to the trout fishing for a couple months, and then they continue to hang around through September and provide lots of protein to feed the incredible Rainbow Trout and Dolly Varden population that defines the Upper Kenai. 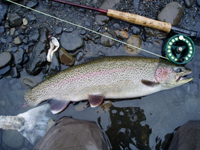 The Russian River is the major tributary to the Upper Kenai, and is the most exploited salmon sport fishery in Alaska due to its relative proximity to Anchorage as well as it being conducive to DIY anglers on foot. 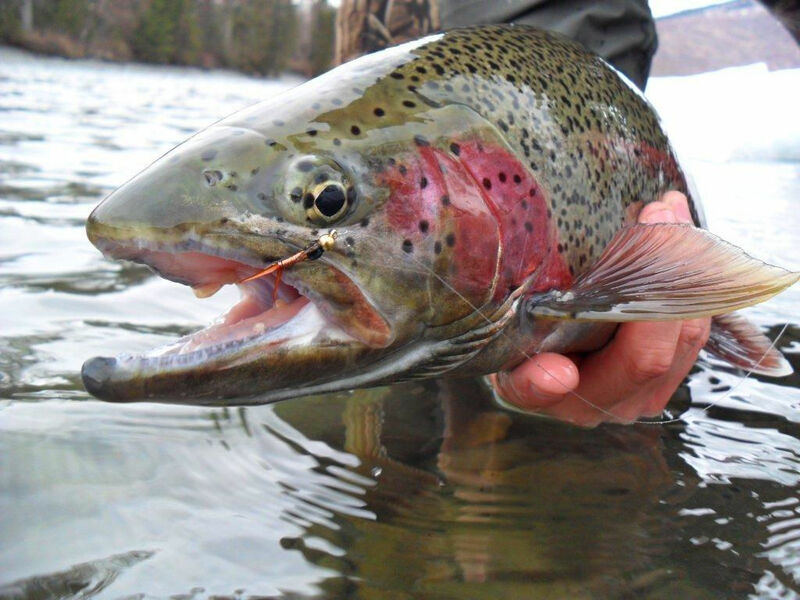 For about a month stretch the infamous “combat fishing” you’ve heard about ensues on the banks of the Russian River and the Russian/Kenai confluence. 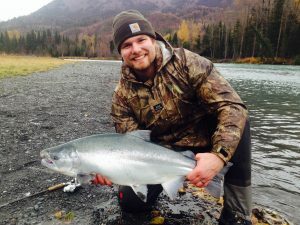 Not only does the fall season contain some of the most epic Trout fishing in the world, but a healthy run of Silver Salmon also make their way into the Upper Kenai. 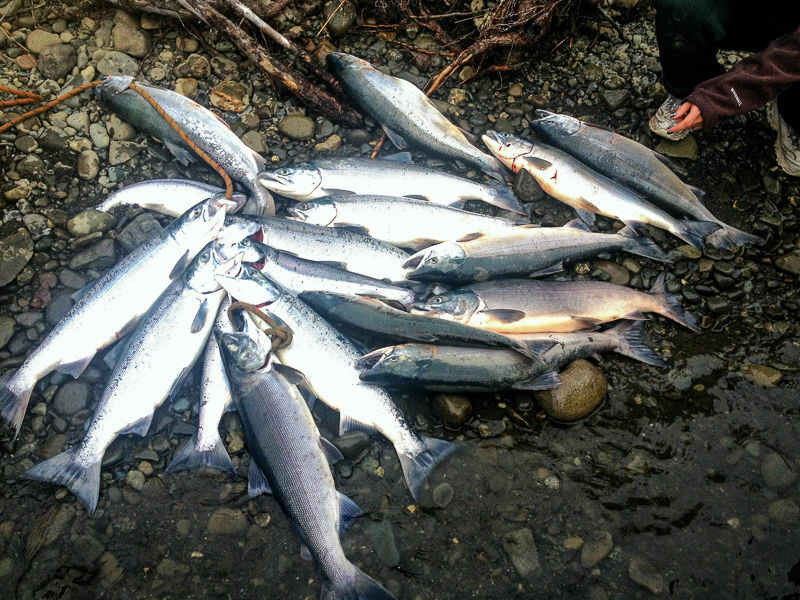 Anglers willing to take a break from their quest for trophy Trout have the opportunity to tangle with chrome Silver Salmon 70+ miles from the saltwater. 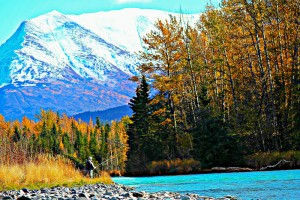 The Upper Kenai is primarily surrounded by the Chugach National Forest as well as the Kenai National Wildlife Refuge. 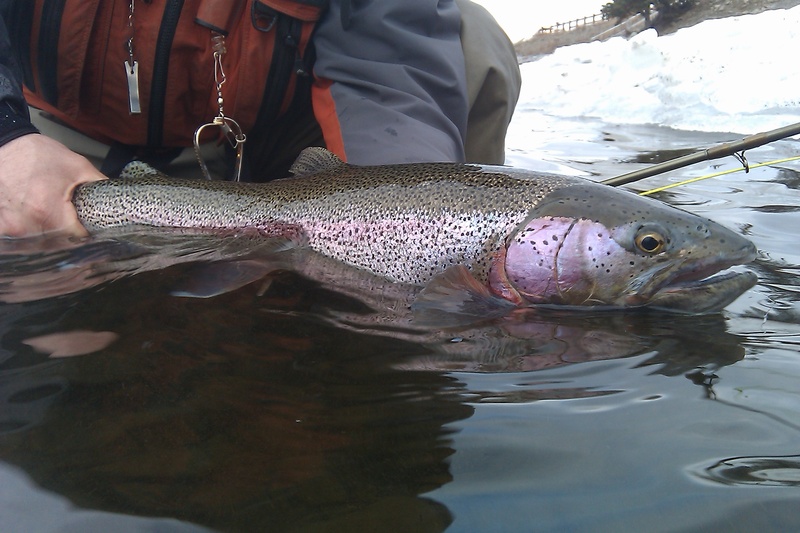 Incredible scenery, abundant wildlife, no motors, and amazing fishing are all features that make this area so special. Wow beautiful pictures and post. I hope to someday make it out to Alaska and catch some Dolly Varden among other awesome fish. Do you guys have a Youtube channel? 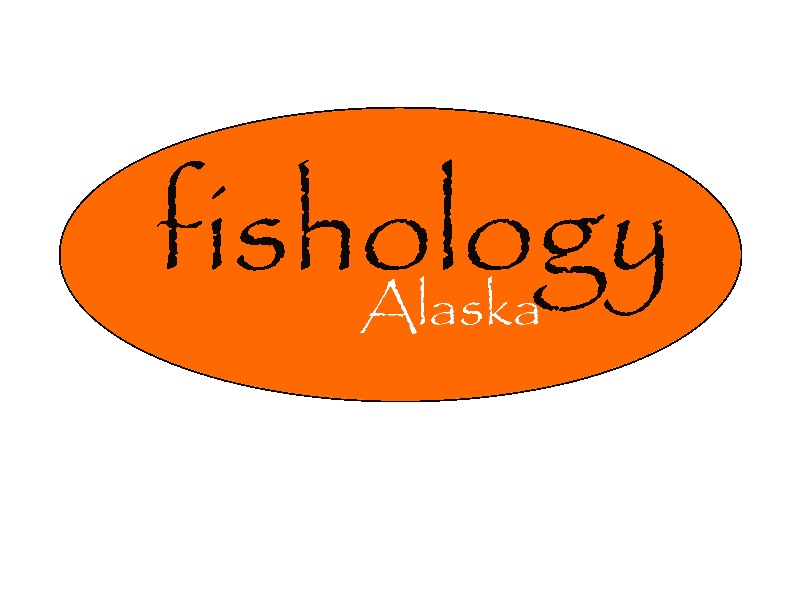 Yes we do, but it’s very outdated… perhaps I’ll try to get some new videos on there soon, but in the mean time you can follow Fishology on Facebook to get pics, videos, fishing reports, etc.